Our firm is a renowned enterprise offering premier quality Acrylic Tray. 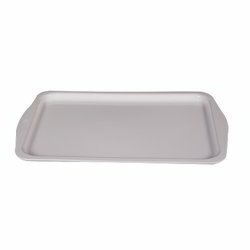 Known for offering extreme resistance to stains and abrasion, these Trays are readily accepted in the market. Due to remarkable tear strength and light weight, these products have assisted us in winning great accolades all over the industry. Further, these are highly cost-effective. Our entity is providing Fancy Wooden Handle Tray for our valued customers. Our products are made employing the premium quality material and modern techniques. acrylic serving trays in many sizes and colors and designs available. 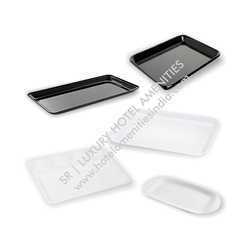 Backed by our prosperous industry acquaintance, we offer an extensive range of Acrylic Tray. This product is available in diverse sizes and designs that meet on customer’s demand. we are the manufcature of Acrylic trays and kumkum boxes served our customers with very good products and different desings.. we monthly do 1000 pcs of trays and kumkum boxes decorated with kundans. We are the leading manufacture supplier exporter of Acrylic Colorful Tray and offer this product as per client requirment and This qualitative product is widely appreciated in domestic and international markets. We strictly check this product under quality guidelines to ensure that we deliver only premium grade product to our clients.